The MIT200 series will find applications in electrical contracting, both on domestic and industrial systems, as well as site maintenance and service departments. 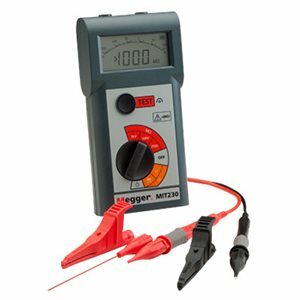 The MIT200 series of insulation and continuity testers are ideal for testing transformers, motors, generators, switchgear, panel building, domestic appliances, power tools etc., as well as fixed electrical wiring systems. Their small size and light weight make them ideal for those engineers that need to carry them for extended periods.